After missing the playoffs for the third straight season the Raiders brought in new management and a new coach. Today the new coach was introduced. "The only thing I'll say to the players is you do know who I am. And if you know whats good for you, you will love, honor and obey! Yeah I've bounced around before but a true classic NEVER goes out of style. 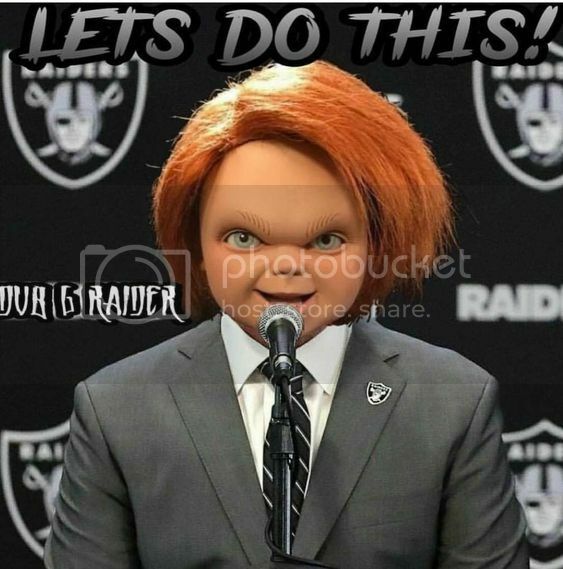 So Raiders Nation, you got your wish. You're mine now!"